Charles P. Pierce is a writer at large for Esquire, where he also writea a daily on-line political blog, and is a staff writer for the on-line sports magazine Grantland. He was born December 28, 1953 in Worcester, MA. Six months earlier, his mother hid in the basement as a massive tornado leveled his future hometown of Shrewsbury, MA The effect of prenatal imprinting is still being debated in medical circles, but a connection does not seem implausible. He is a 1975 graduate of Marquette University, where he majored in journalism and brewery tours. He was delighted to combine his vocation and his avocation once again when he returned to Milwaukee to cover the trial of Jeffrey Dahmer. He attended graduate school at Boston College for two days. He is a former forest ranger for the Commonwealth of Massachusetts, and still ponders the question of what possesses people to go into the woods and throw disposable diapers up into trees. He began his journalism career writing bowling agate for the Milwaukee papers, and remains justly proud of his ability to spell multi-syllabic, vowel-free Eastern European names. He has written for the alternative press, including Worcester Magazine and the Boston Phoenix, and was a sports columnist for The Boston Herald. He was a feature writer and columnist for the late, lamented sports daily, The National. He has been a writer-at-large for a men’s fashion magazine, and his work has appeared in the New York Times Magazine, the LA Times Magazine, the Nation, the Atlantic and The Chicago Tribune, among others. Although he is no longer a contributor, he remains a devoted reader. He is a frequent contributor to to Eric Alterman’s Altercation, the American Prospect and Slate. Charlie appears weekly on National Public Radio’s sports program Only A Game and The Srephanie Miller Show, and is a regular panelist on NPR’s game show, Wait, Wait Don’t Tell Me. Since July 1997 he has been a writer at large at Esquire, covering everything from John McCain to the Hubble telescope, with more than a few shooting stars thrown in between. From 2002 to 2011 he was a Boston Globe Sunday Magazine staff writer and columnist, where he wrote political and general interest features as well as “Pierced, a weekly column. Charles Pierce is the recipient of numerous professional awards and honors. On several occasions, he was named a finalist for the Associated Press Sports Editor’s award for best column writing, and it has been suggested that if only he would wear a tie, they might have let him win. He was a 1996 National Magazine Award finalist for his piece on Alzheimer’s disease “In the Country of My Disease,” and has expanded the piece into a book Hard to Forget: An Alzheimer’s Story for Random House. In 2004, he won a National Headliners Award for his Globe Magazine piece, “Deconstructing Ted”. 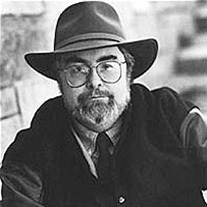 Depending on which year this is, Charlie Pierce has appeared in Best American Sportswriting more times than any other writer, or has tied with Roger Angell for most appearances in Best American Sportswriting, or is sulking in second place and plotting to regain the top spot soon, or has fallen plumb off the court. Charlie’s sportswriting has been anthologized in Sports Guy: In Search of Corkball, Warroad Hockey, Hooters Golf, Tiger Woods, and the Big, Big Game. He was awarded third place in the PBWAA Dan S. Blumenthal Memorial Writing Contest. When he won Phone Jeopardy, Alex Trebek sent him a plaque. Pierce is the author of four books, most recently Idiot America. Charles Pierce lives in metro Boston with at least some of his three children all of the time, the rusted remains of a malfunctioning Toro lawnmower and his extremely long-suffering wife.